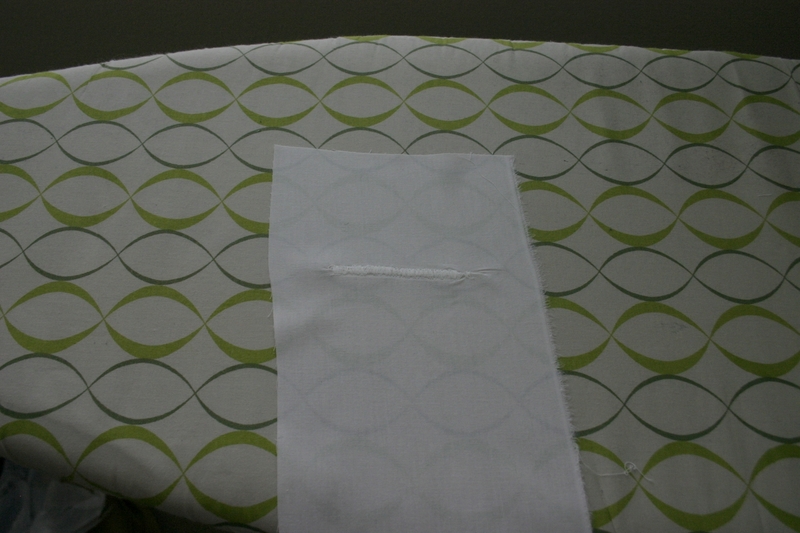 I threw this tutorial together quickly for my aunt who wanted to mend a small hole in a relatively new, nice bedsheet. 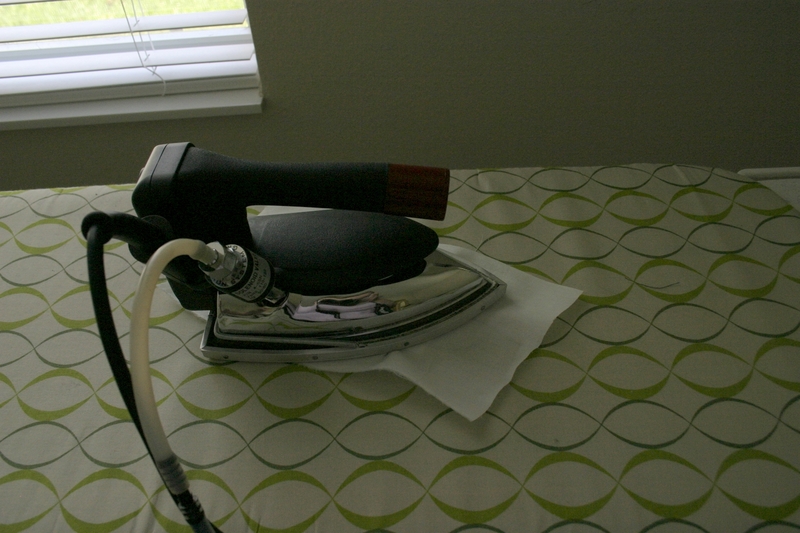 This is the method I use for mending small, regular-shaped holes in clothes or sheets where I don’t want a visible patch. I didn’t do a terribly good job mending the hole I cut in this scrap of muslin, but even a tiny bit more effort would have resulted in a nicer outcome. 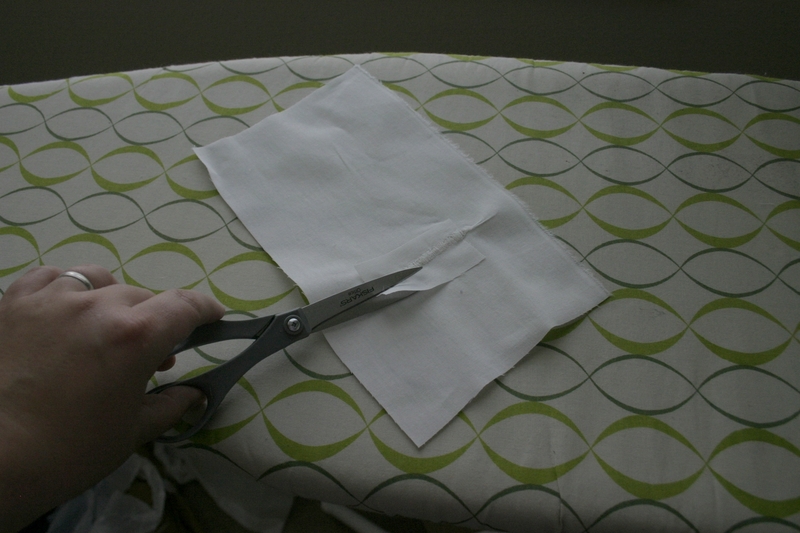 With that caveat stated upfront, here’s a quick tutorial on how to mend a hole in fabric. 1. Begin with fabric that has a hole. 2. 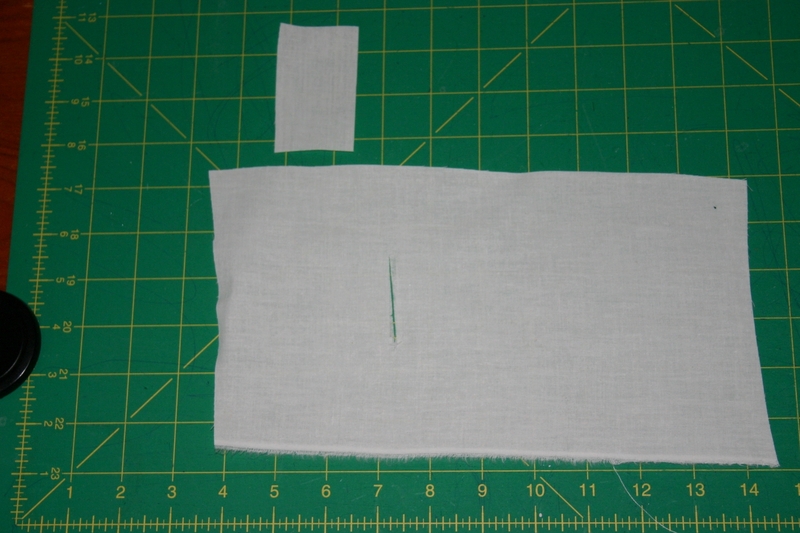 Cut a patch a little wider and longer than the hole, using fabric of a similar weight and color (if you have identical fabric on hand, all the better). 3. 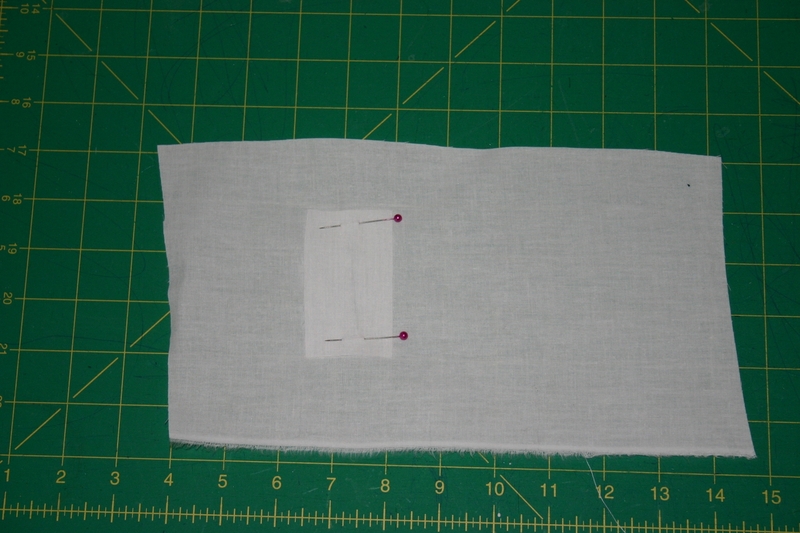 Pin the patch over the hole on the wrong side of the fabric. 4. 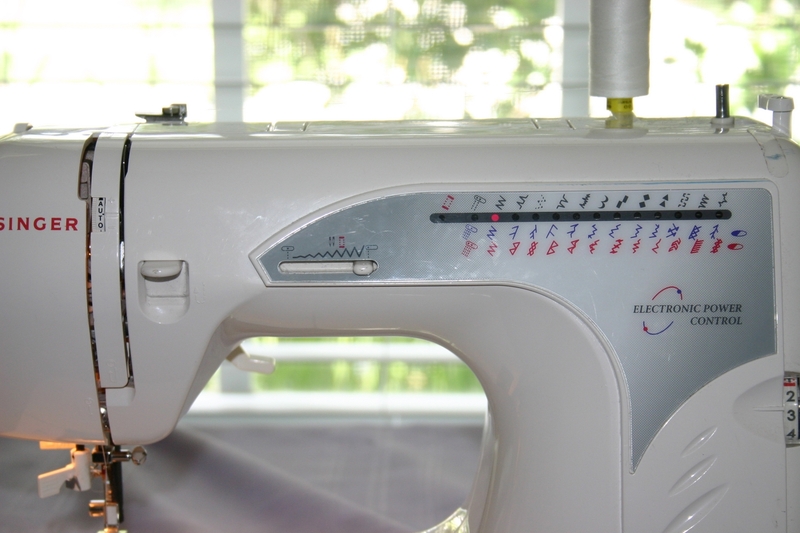 Set up your sewing machine with thread that matches your fabric as perfectly as possible. 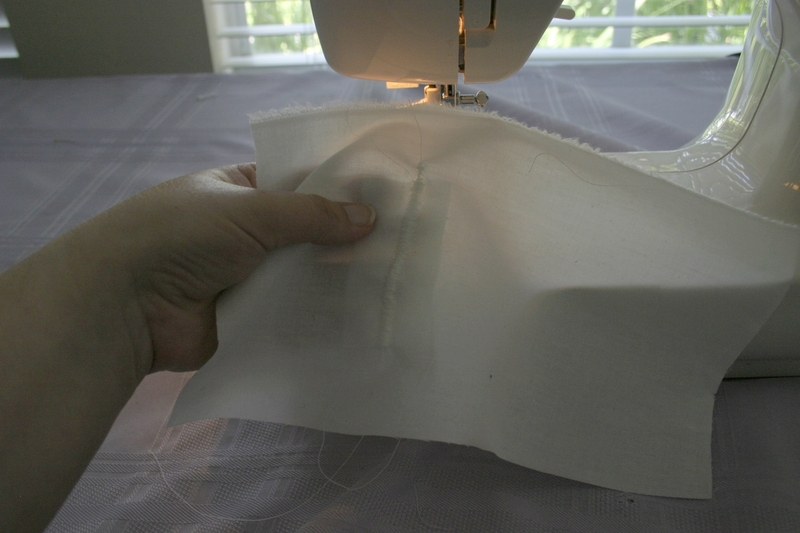 Use a zigzag stitch that is wider than the tear, but if possible not as wide as shown here (I wanted the stitches to be really visible for the tutorial, in real life I prefer that mended tears aren’t so easy to spot). Use a medium stitch length at this point. 5. 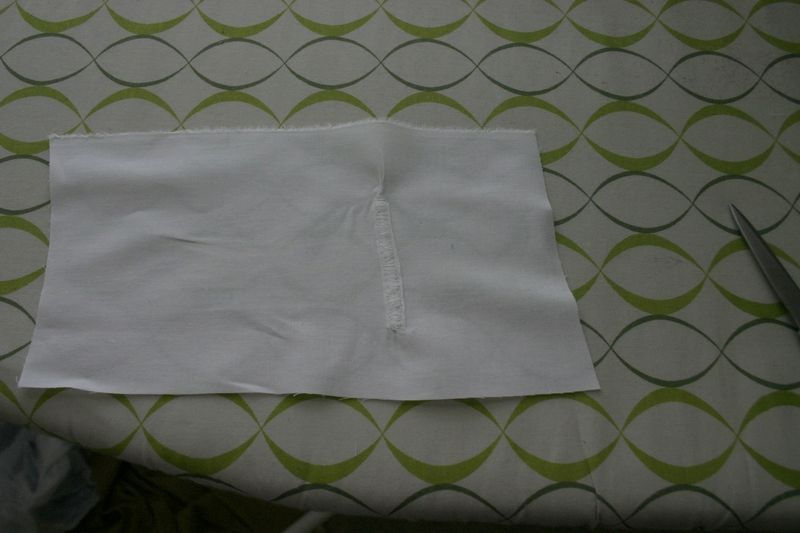 Position fabric so that the tear is centered and put your needle down a little before the tear begins. 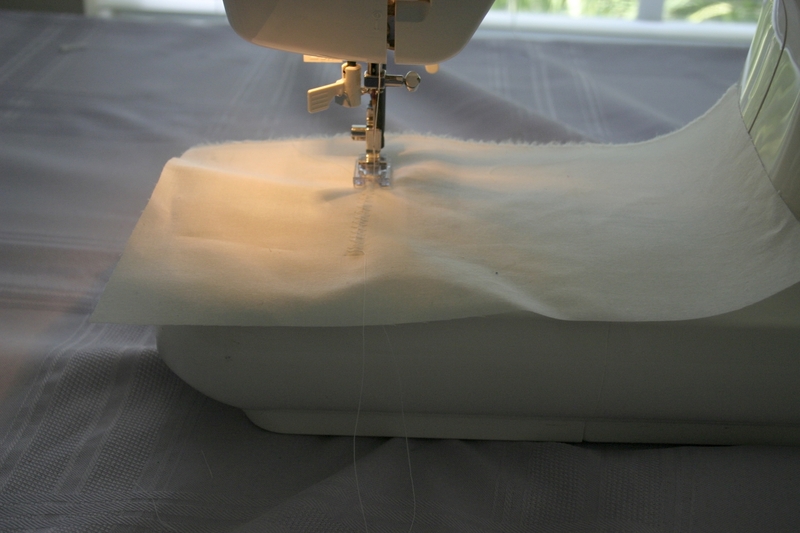 Sew along the length of the tear to a little past the end of the tear. 6. 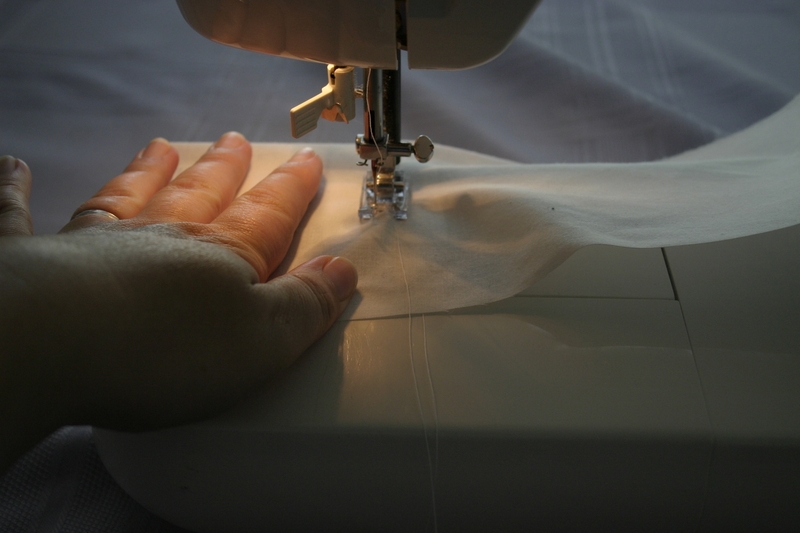 Once you’ve sewn over the tear once, raise your presser foot, turn the fabric around, and reposition so that it’s centered again. 7. 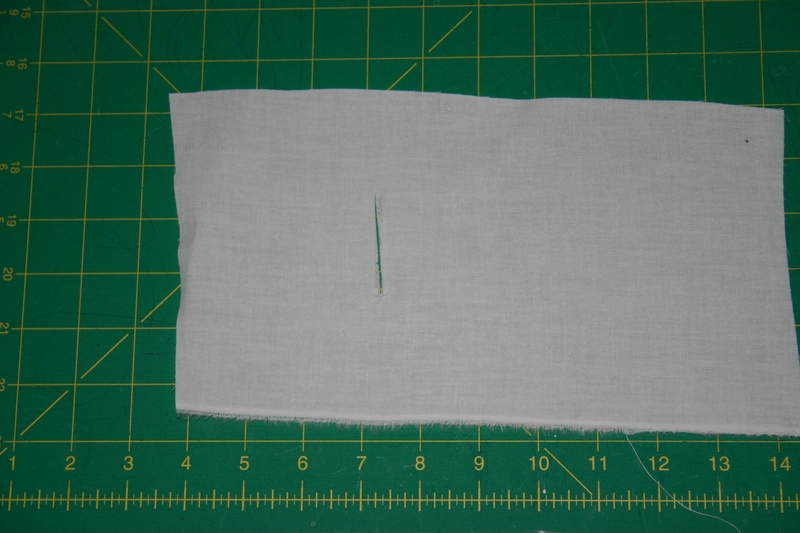 Shorten your stitch length to around what you’d use for a buttonhole. 8. Sew over the tear again, and backstitch a couple stitches at the end. 9. 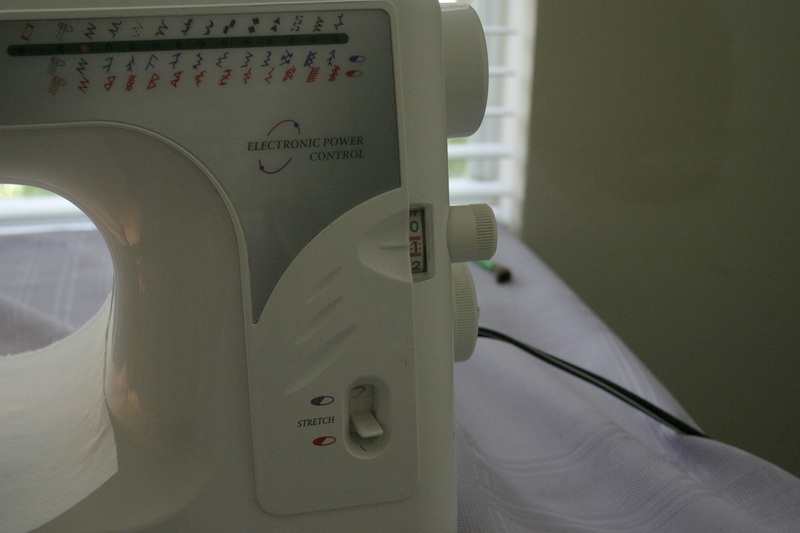 The result is a straight row of stitches straddling the old tear. Clip the thread ends. 11. Turn over so wrong side shows. Here’s the wrong side of the end product. 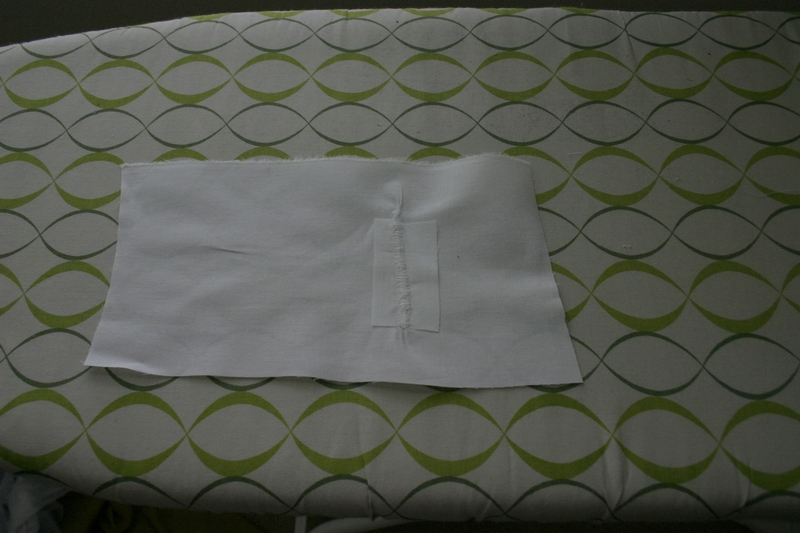 And here’s the right side of the fabric. And there you have it! 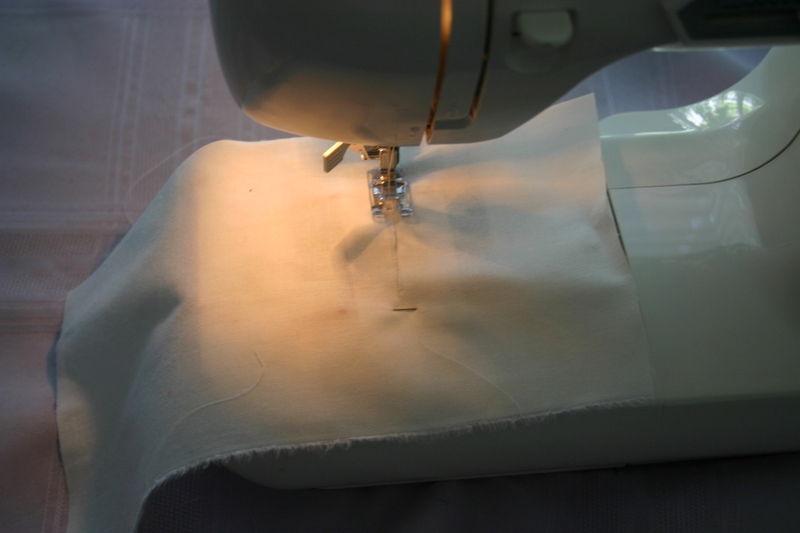 The patch underneath will reinforce your fabric so that the new stitches don’t just tear through again the next time you wear your garment (or kick your sheets, as the case may be). If you use a thread that matches well, and work with a zigzag that’s a bit narrower than what I used for this tutorial, then the outcome is a fairly nonchalant little row of stitches with no other visible signs of the tear that was.